President Barack Obama has cautioned hundreds of young boys of colour in Oakland about the evolving role of men in society and how an exaggerated stereotype of how a man is supposed to be is affecting the coloured community. 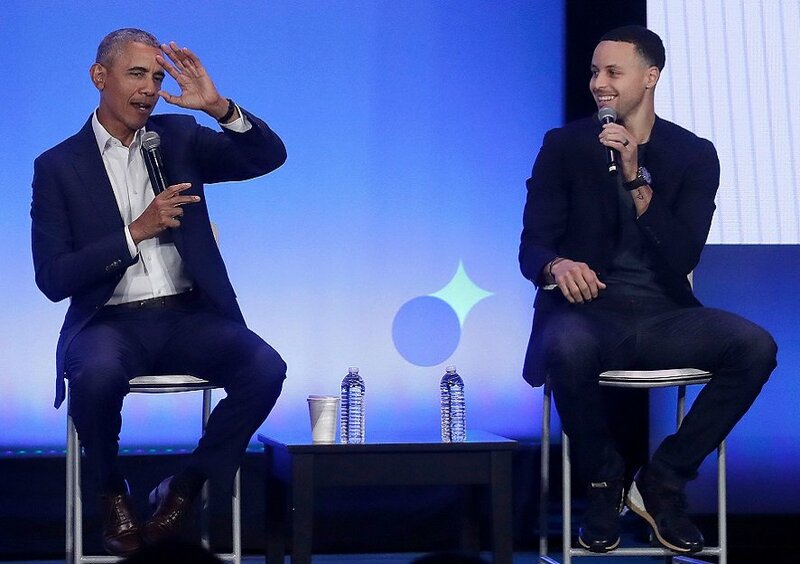 Together with Golden State Warrior star Stephen Curry, Obama attended his flagship My Brother’s Keeper (MBK) Alliance Summit held in Oakland on Feb. 18 to 20 where they touched on sensitive issues including social pressures, inequality and how success is wrongly portrayed. “We live in a culture where our worth is measured by how much money we have and how famous we are… I will tell you, at the end of the day, the thing that will give you confidence is not that. I know a lot of rich people that are all messed up,” Obama told the boys who were gathered in a Town Hall forum. “If you are really confident about your financial situation, you’re probably not going to be wearing an 8-pound chain around your neck. If you’re very confident about your sexuality, you don’t have to have eight women around you twerking. “Cause I’ve got one woman who I’m very happy with. And she’s a strong woman,” he said to a cheering crowd at the Summit which is partly funded by the Obama Foundation. The three-day summit coincides with the fifth anniversary of My Brother’s Keeper, an initiative Obama started after the killing of Trayvon Martin. Curry, who is a member of the Golden State Warriors, teamed up with Obama in 2016 for a video as part of the My Brother’s Keeper initiative. He and his teammates recently met with Obama in Washington following their NBA championship win. Watch the Town Hall with President Barack Obama and Steph Curry.